Think you know everything there is to know about the Genpets™? Think again! By reading this website you haven’t even skimmed the surface yet! Have a look through our extensive reseller catalogue. You can view it online, download it to your computer's hard disk for viewing later, or you can even order a hard copy online directly from the Bio-Genica store! While the reseller catalogue is aimed specifically towards store owners and resellers of Bio-Genica products, we’ve noticed a great deal of interest from our customers and welcome you to read through it! 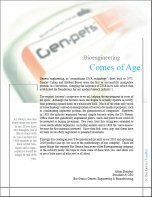 We’re sure you’ll understand the Genpets™ and Bio-Genica far more afterwards, and we welcome any feedback you might have for us.